With under 10 colleges and universities offering accounting degree programs, Vermont does not present prospective accountants with too much choice. Students can earn certificates, associate degrees, Bachelor’s degrees or postgraduate degrees in accounting and start successful careers in the field, as accounting is a very lucrative profession in Vermont. Among the top accounting schools in Vermont are Saint Michael’s College, the University of Vermont and Champlain College. The University of Vermont ranks 82nd in the country according to U.S. News, while Saint Michael’s College boasts the highest 2013 first-time CPA exam pass rate with a Bachelor’s degree in Vermont. With so many universities advertising accounting programs at all levels, making a decision can become a daunting task. How do you know which program will best prepare you for a successful career and challenges like the CPA exam? The first step is to clearly identify your goals. If you aim to work as an accountant, a four-year degree is a must, while as a CPA you will need to complete more credits and so can opt for a Bachelor’s and a Master’s degree. Many universities offer five-year integrated courses tailored to fulfill CPA requirements. Once your options have become clearer, it is time to assess their quality. Accounting is difficult, so choose the best and most demanding program in order to prepare yourself for the responsibilities you will have to take on. Look at national rankings and awards, but don’t forget to ask for student evaluations to get an insider’s perspective. 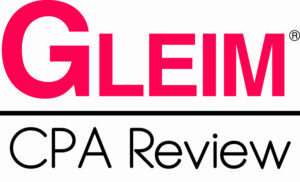 Check CPA exam rates and graduate placement statistics, as well as the top recruiters present on campus – and listen for well-known names such as the Big Four. Finally, remember that your accounting education is in fact the start of your career. Don’t settle for anything less than the best, and be prepared to give your all in order to succeed! If you’re considering an accounting career, you must already have an eye for detail and a knack for business. But succeeding in this field takes more than that – you need years of education and hard work, experience and an excellent business network. It all starts with a good accounting program: accountants need to hold at least a four-year Bachelor’s degree, while CPAs are required to complete additional coursework for a total of 150 college credits. 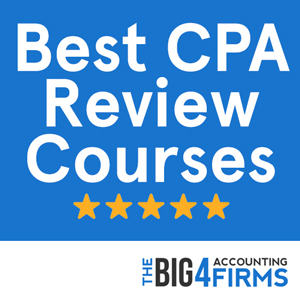 If your eyes are set on a CPA license, you will also need to pass the challenging Uniform CPA Examination – a four-section exam that tests your academic knowledge in different accounting-related fields. Your state’s accountancy board may additionally require you to pass an official ethics examination. Finally, experience is key to succeeding in accounting. In order to be granted licensure, you will need to gain experience in accounting under the supervision of a CPA. You may need one or two years of full-time experience depending on the type of work and your state’s requirements. To qualify for a CPA license in Vermont, you need to complete a Bachelor’s degree with 150 semester hours including at least 42 hours in accounting, auditing and related fields. However, you can sit for the CPA exam if you have only completed 120 hours with an accounting concentration. You will also have to pass the CPA exam and complete the additional education and experience requirements within four years. You will need one year of accounting experience verified by the board in order to be granted licensure. In addition, you will have to complete an ethics course equivalent to eight hours of continuing professional education within two years of applying for a CPA license. It is lucrative to be an accountant in Vermont, as the mean annual salary for accountants and auditors in 2013 was $68,950, well above the national average. Accountants in well-developed areas such as Burlington earn even more: approximately $71,000 on average, which puts the area in the top of the highest paying in the country. On the other hand, accountants’ pay levels can also vary within the state for a number of other reasons such as qualifications, education, experience, chosen career path, employer and job title. These factors account for the tremendous difference in pay between the bottom percentile and the top percentile of Vermont accountants: while the former earn about $42,000 on average, the latter earn approximately $99,000. St. Michael’s College, a liberal arts college located in Colchester, reported a CPA exam first-time pass rate of students with a Bachelor’s degree of 80.4% – the highest in Vermont and higher than the national average. Ranked 89th among national liberal arts colleges by U.S. News, the college offers a Major and a Minor in Accounting. 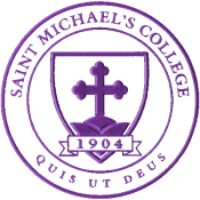 St. Michael’s College boasts an undergraduate accounting program taught by highly qualified instructors, many of whom are licensed CPAs. The curriculum offers a solid background in accounting with some core courses in liberal arts and culminates in a research-based seminar. The program allows students to qualify for CPA certification by undertaking more coursework at the Bachelor’s level or by using the school’s partnerships with other graduate programs. Accounting students can enhance their employability by participating in internships, study abroad programs, student organizations, tutoring programs or teaching assistant roles. With a blend of quality coursework and experiential learning, St. Michael’s College makes a great choice for prospective accountants in Vermont. Listed as the 82nd best university nationwide by U.S. News, the University of Vermont prides itself on a top-quality Accounting and Finance program designed to help students get certified as CPAs, CMAs, CFAs or CFMs. With a highly experienced faculty both professionally and academically, the University of Vermont program boasts an excellent rate of success in placing its graduates in senior positions and Big Four jobs. The Burlington-based school also has excellent links with the local business community and potential recruiters. The undergraduate accounting concentration offers courses in financial statement analysis, taxation, auditing, management accounting and other related topics. With a solid foundation in accounting in place, graduates can go on to the Master of Accountancy degree program. The Master’s curriculum has been recently improved and provides students with a wide variety of skills in the areas of business, ethics, research and advanced accounting.